Every man needs strong, authentic friendships. 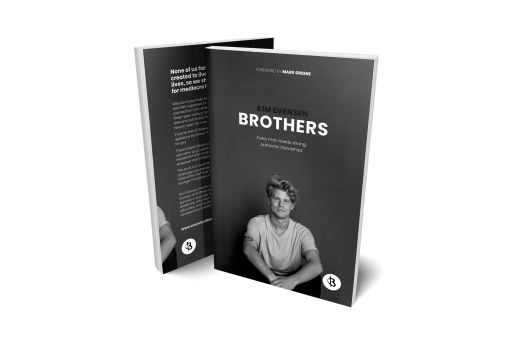 Brothers is a global movement that seeks to empower and inspire boys and men to create authentic and wholesome friendships, as well as combat damaging cultural influences that can hinder them from doing so. The movement was founded in 2017 by Kim Evensen, and now consist of a key team and volunteers. Brothers is currently located in Sydney, Australia. Millions of boys and men throughout the world want stronger friendships in their lives, but as a result of popular culture's perception of masculinity, love and connection between men, many live without such friendships. Some guys have given up on close friendships, some have settled for mediocre friendships, and some have told themselves that they don't need close friends at all. The lack of these vital relationships in a man's life has serious effects on his lifetime, physical and mental health, family, marriage and professional life. Creating awareness and offering inspiration and tools through our website, newsletters, social media and blog. Creating a respected and trusted 'brand' that enables us to reach men from all four corners of the world. Working together with businesses, organisations and educational institutions alike, offering seminars, workshops and campaigns. When: 18th of August, 10.30AM-12.00PMWhere: Coogee Beach, Sydney, Australia.What: Teaching and discussion around the topic 'friendship & masculinity'For who: ALL MEN. So bring your mates and invest into your life and friendships! A man needs brothers who allow him to be real and fully himself, with no need to wear a mask. A man needs brothers who he can enjoy life and all its adventures with. A man needs brothers who are always there. Someone who can support him in good and bad times. A man needs brothers that can challenge him to become a better man. A man that takes responsibility in every sphere of life. A man needs brothers who stir him into living a life of purpose. To not settle for less, but continue to grow in life. A man needs brothers he can safely pursue a deeper and meaningful friendship with, without the fear of it being sexual or being misunderstood as sexual. Many guys avoid closeness in friendships, fearing that it has to be sexual, or that it will be misunderstood as sexual. The perception of what it is to be a "real man" has hindered many men from connecting with themselves and the ones around them. Genuine friendships between men have in many cases been neglected, ridiculed or dulled down to a shallow hang-out. Do you want to see men throughout the world benefit from the work we do and will do in the future? Your donation can make a difference! Print posters/stickers/t-shirts/flyers - you name it! And spread the message of Brothers in your sphere of life! 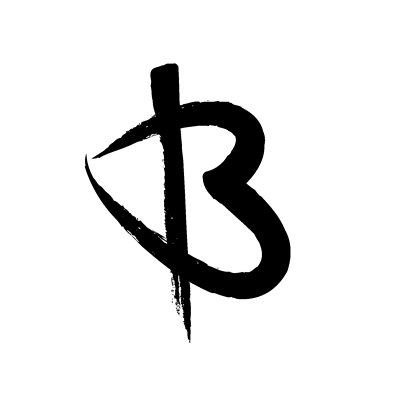 Brothers is growing, and we want it to grow even more! Passionate about our cause? We need volunteers from all different countries! We offer workshops and presentations on Men's Friendships & Masculinity for schools, events, companies and anything in between. "The work Kim and his team are doing through Brothers is remarkable in many ways. Brothers is directly and effectively addressing the many damaging cultural stigmas that prohibit boys and men from forming social connection. Kim's understanding of the issues behind the isolation of boys and men face is ever-expanding because he seeks advice from a wide range of sources and he acts on it. I have been writing and speaking on men's issues for nearly ten years now. I have seen many different initiatives, which in seeking to address men's challenges bog down in privileged or insensitive frames, thus creating more challenges then they resolve. Brothers does not suffer from these challenges. It is an organization that respects the issues faced by women and people of color even as it works to create much needed connection among men." Your e-mail address will only be used for Brothers' newsletters, and will under no circumstances be shared with anyone else or used for any other purposes. Print posters/stickers/t-shirts/flyers - you name it! And spread the message of Brothers at your school or workplace!